New icons, software sorting, and VR Mode restrictions also included. Nintendo has released another major firmware update for the Nintendo Switch, bumping the console’s system software up to version 8.0.0. Distributed on 15th April 2019, the latest system update packs brand new icons, manual save transfers, and a variety of other improvements to the hybrid device. On the vanity front, users will be pleased to hear that Nintendo has added 15 new user icons. The new avatar icons feature a mix of characters/elements from Splatoon 2 and Yoshi’s Crafted World. As with all previous icons, these can be mixed and matched with various background colours in the system’s profile page options. Nintendo has also added the ability to manually transfer save files between Nintendo Switch systems in firmware 8.0.0. Meaning that users won’t have to rely on cloud backups to pick up their progress on another system. 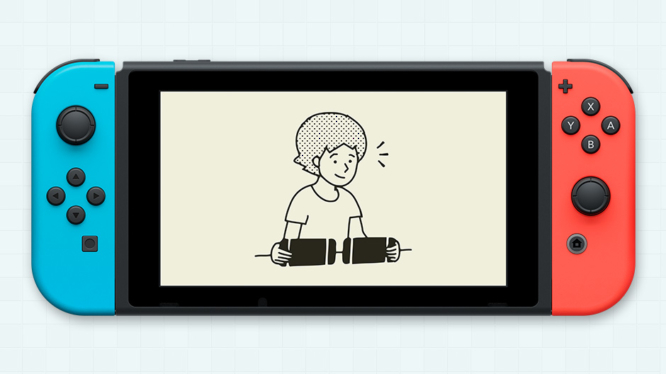 These manual save transfers do come with some limitations though – save data can only be transfer between users that share the same Nintendo Account and will be removed from the original system once transferred. Select “System Setting” on the Home Menu. Scroll down and select “Data Management”. Scroll down and select “Transfer Your Save Data”. Select “Send Save Data to Another Console”. The Switch’s v8 system update is jam-packed with useful additions to the OS. The software list accessed through the “All Software” option on the Home menu has even been treated some new sorting options. Players can now sort and organise their software by total time played, played recently, game title and even publisher title. In order to access the “All Software” menu, there must be at least 13 different software titles installed on your Nintendo Switch. If you want to try it out but don’t have enough games, then head to the eShop and download some demos to pad it out. Have tiny fonts been giving you blues? Well, luckily Nintendo has implemented a solution for that too (I told you 8.0.0 was crammed with useful additions). A brand new “Zoom” functionality has been added to the Nintendo Switch’s OS, which allows users to zoom in during gameplay and on menu items. Accessed by double-tapping the Home button, players can zoom in, control the zoom level, and adjust the zoomed position at any time. Scroll down and select “System”. Scroll down and select “Zoom”. Tap the A button to enable Zoom. Exit the System Settings by tapping B twice. Double tap the Home button to Zoom in. “View All Available News” has been added to the News options. VR Mode restrictions are now available in Parental Controls. “Save Data Cloud Backup” has been renamed “Save Cloud Data”. “Transfer Your User and Save Data” has been renamed “Transfer Your User Data”. A new option to prevent the system waking when disconnected from an AC adapter has been added the System Settings (under “Sleep Mode”). Additional regions have been added to the System’s Region options – Hong Kong, South Korea, and Taiwan. Some articles and videos may show the disassembly, alteration, and/or re-assembly of electronic products. This can be very dangerous and permanently damage the product(s). Please don't copy these actions. If you do, then you do so at your own risk. Batteries can explode, seriously, never mess with them. Some articles may contain affiliate links. If you click one and purchase something, then we may receive a small commission. This doesn't affect the price you pay or influence our opinions. The newest update serves a load of new features to enjoy. Try before you decide to be there, or be square. Persona 5’s Joker joins the battle in Super Smash Bros. Ultimate 3.0 today! Stage Builder, Smash World mobile app and more also included. Thankfully, you've got longer than 60 seconds to secure your copy. Farm, craft, dungeon crawl and more in this post-apocalyptic sim-RPG. Take on the Aragmi anytime, anywhere! Copyright © 2019 LootPots.com. All rights reserved.